To lend it an air of modernity, he collaborated with Brooklyn-based lighting designer Jason Miller of Roll & Hill on globe fixtures, hung next to cinematic photographs by husband-and-wife duo Formento & Formento to create a dramatic effect; a poured concrete fireplace in the dining room gives the space a sense of intimacy at night, though during the day a prodigious skylight opens it up. Using a food processor, purée the anchovies, mustard, parmesan, red wine vinegar, egg, egg yolk, and ice cubes. While the processor is on, slowly drizzle on the extra virgin olive oil so it fully emulsifies. Add salt and pepper, and place in the refrigerator until ready to use. Place veal on a cutting board and trim excess fat around the outside. Finely dice into small cubes. Slice a loaf of sourdough bread one ¼ inch thick. Drizzle with olive oil and place directly on grill. Drizzle romaine with olive oil, season with salt, and place on grill. Grill until romaine is lightly charred. Place veal and Caesar dressing into a bowl. Use enough dressing to fully coat the veal. Mix with fresh lemon juice, chives, and salt. Cut toast into desired serving size portions and spoon veal mixture on top. Place grilled romaine on top of veal. Chris Painter is the head chef at Wm. Mulherin’s Sons. Wm. 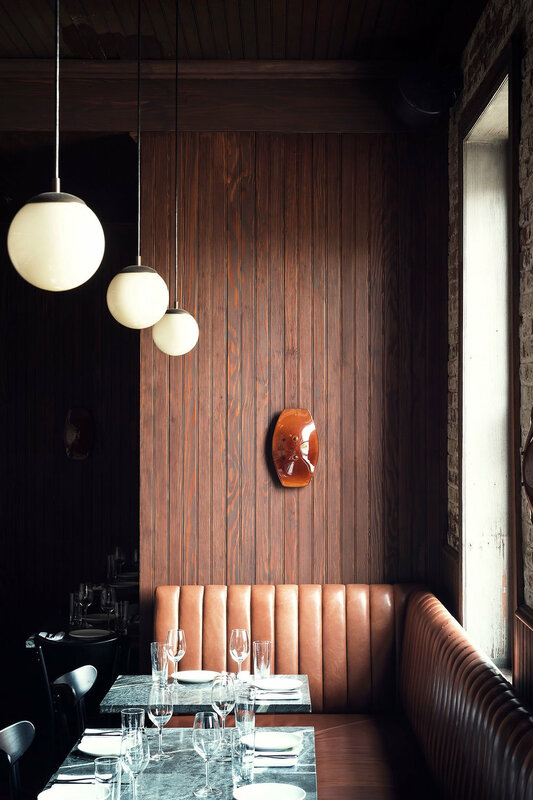 Mulherin’s Sons was restored and designed to reflect its deeply-rooted American history and location in the up-and-coming neighborhood of Fishtown. From the interior to the exterior of the building, we feel like we hit the perfect balance between old and new—respecting the past, yet making improvements for the future. This balance is also one of the driving forces behind our menu, and is particularly highlighted in our veal tartare on toast. 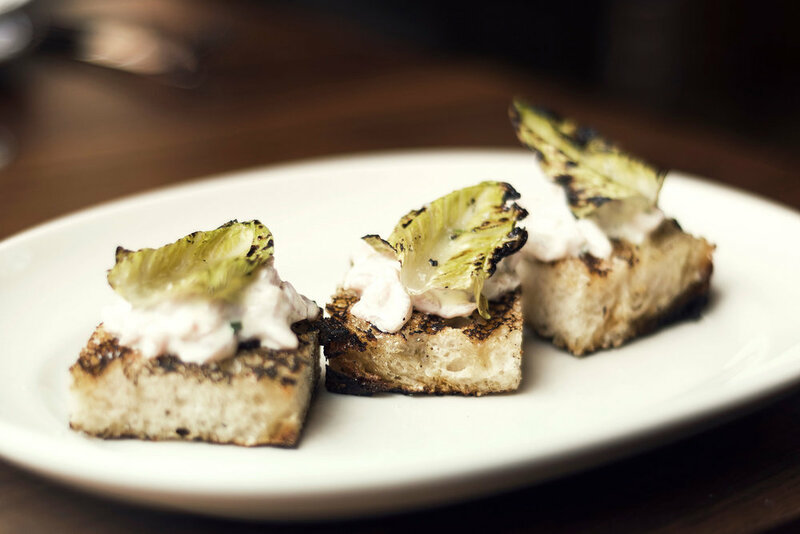 For this dish, we take the elements of a tartare and a Caesar salad, both classics of Americana cuisine, and modernize them with a forward-thinking presentation.